Now that Christmas presents have been opened, it's safe to post these paintings I made for my sister. 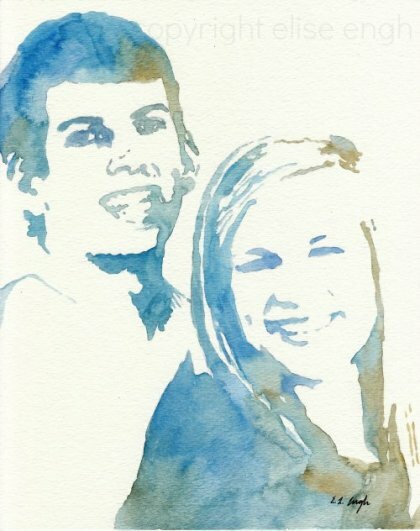 A custom watercolor portrait of the cute couple! I have a tutorial HERE, if you want to try your hand at making your own portraits, but I am also considering offering to make custom watercolor portraits through my Etsy shop. What do you think? Would anyone go for these? I think you should definitely offer customized portraits like that in your shop. They would make such perfect gifts that I'll be lots of people would buy them. Good idea! 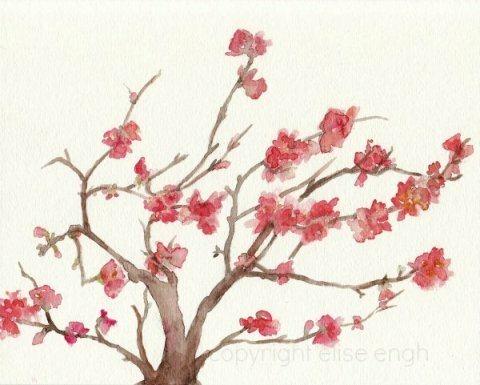 I love your watercolors! They are so inspiring! You should definitely do that!! Your sister is one lucky girl! I love the watercolors!!! They are beautiful! I love how much depth and emotion your paintings have.